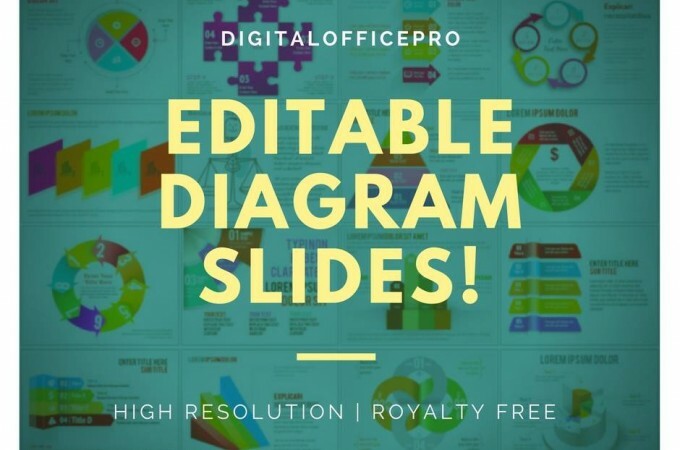 DigitalOfficePro PowerPoint Diagram and Chart slide collections consisting of several ready-to-use editable slides for Microsoft PowerPoint. All these awesome slides are created with minute detailing on color, shadow and lighting effects. Select the slide of your choice and insert it into your slide the moment you need them. All charts and diagrams are included in PowerPoint slides so that you can paste into as many presentations as you like. All the Diagram and Chart slides contained in our gallery are royalty free.